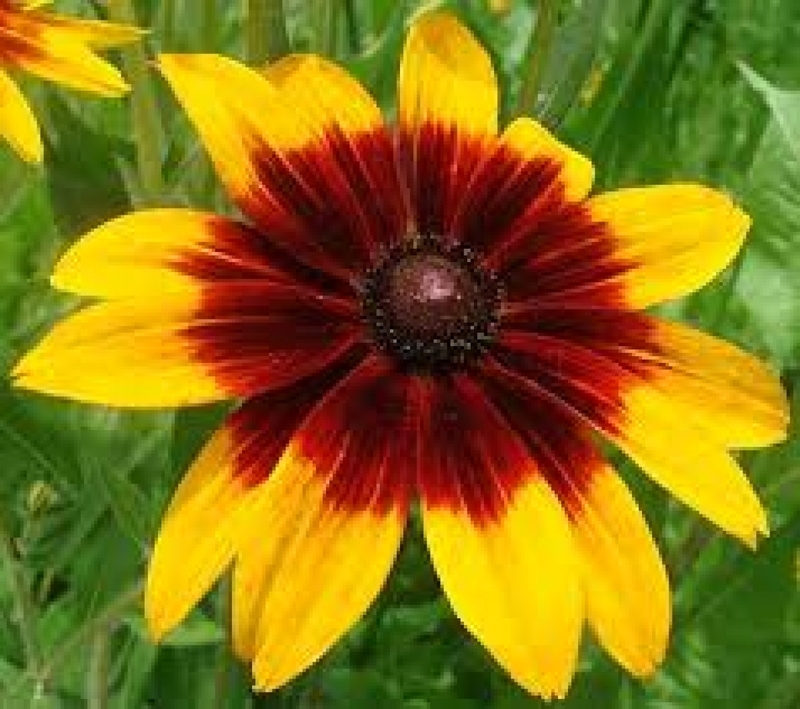 Gloriosa daisies are a strain of black-eyed Susan that was developed in the United States, and is now grown world-wide. 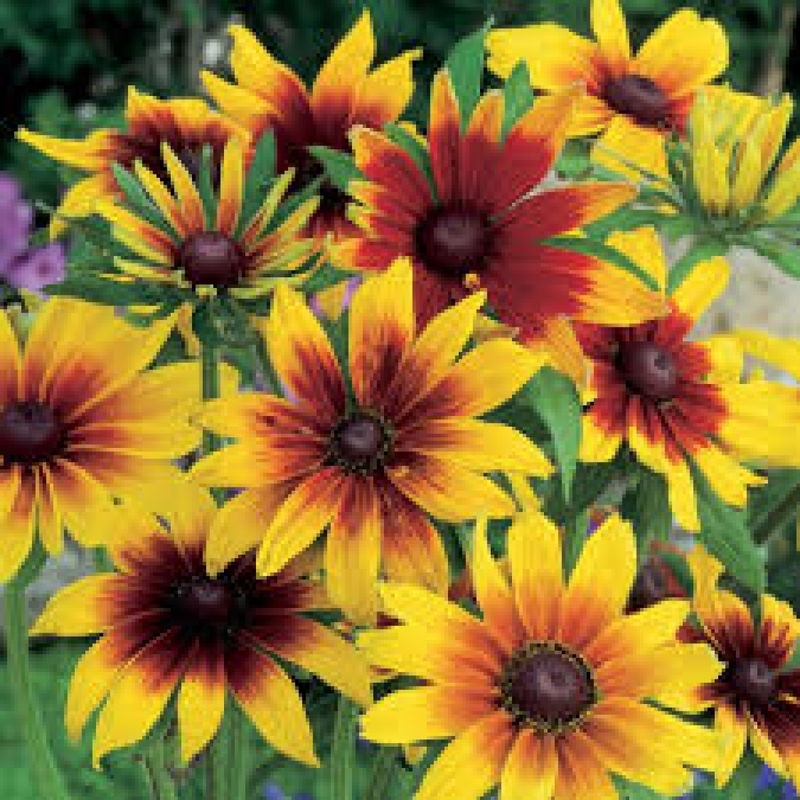 Gloriosa daisies are actually biennials or short-lived perennials, but are often grown as annuals because they bloom the first year. This form of daisy features petals in shades of yellow, gold, and mahogany. 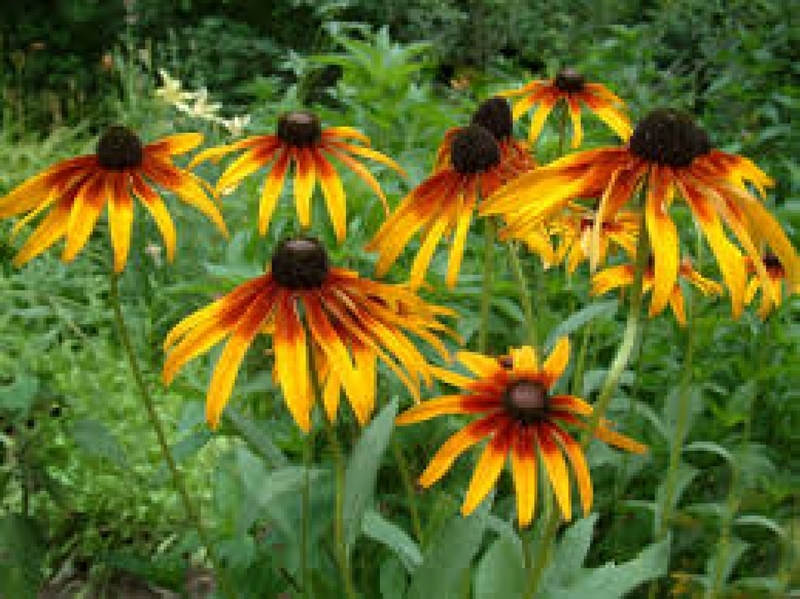 The center of the flower is brown. 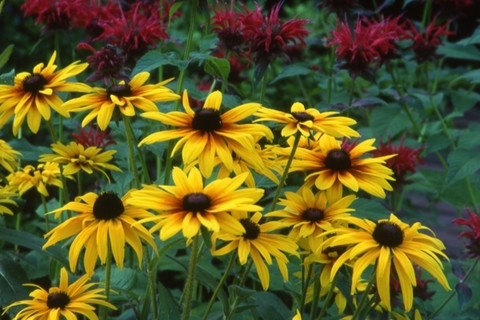 Bloom is often 6” inches across and comes in both single and double forms. The plants are very erect and have thick stems which may grow up to 3’ high.